3 What peaceful hours I once enjoyed! Her illness has been a sharp trial to me. Oh, that it may have a sanctifying effect!. . . I began to compose the verses yesterday morning before daybreak, but fell asleep at the end of the first two lines; when I awoke again, the third and fourth were whispered to my heart in a way which I have often experienced. 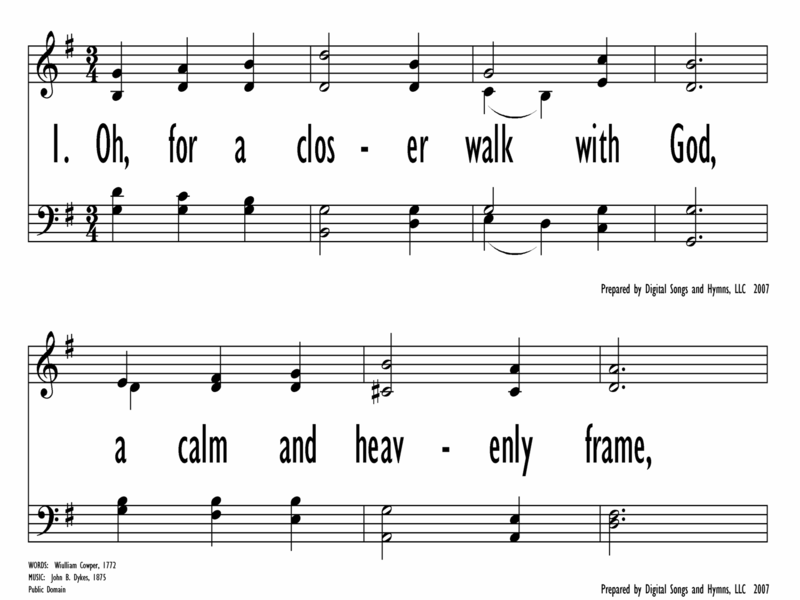 The text was published in Richard Conyers's Collection of Psalms and Hymns (1772) and, with some revision, in the Olney Hymns (1779). There it had the heading "Walk with God" and included a reference to Enoch in Genesis 5:24. The original fourth stanza is omitted. Although Cowper frequently battled depression, doubt, and melancholy, this text speaks of a very intimate walk with the Lord. That walk is rooted in Scripture (st. 1), rejoices in conversion (st. 2-3), and denounces all idols that would usurp God's sovereignty (st. 4). The text concludes with a return to the prayer of the first stanza, but now that prayer is sung with increased confidence and serenity. 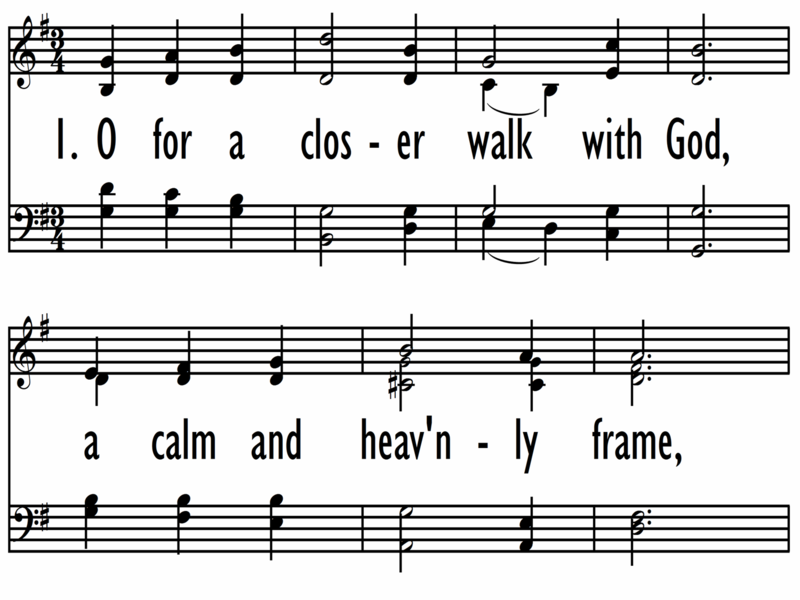 For occasions of aspiration, hope, and encouragement for a more intimate walk with God; a fine testimonial hymn. 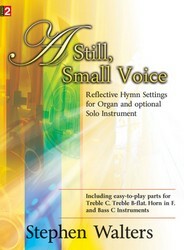 Composed by John B. Dykes (PHH 147), BEATITUDO was published in the revised edition of Hymns Ancient and Modern (1875), where it was set to Isaac Watts' "How Bright Those Glorious Spirits Shine." Originally a word coined by Cicero, BEATITUDO means "the condition of blessedness." Like many of Dykes's tunes, BEATITUDO has a convincing melodic contour and a somewhat chromatic harmonization. Sing the outer, framing stanzas in unison and the middle ones in parts. 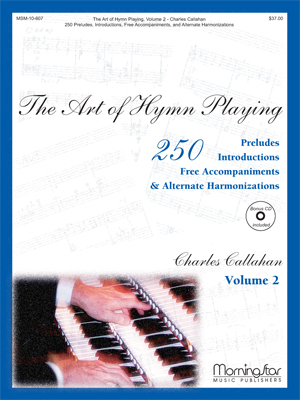 Use just enough organ to keep this hymn moving. Maintain one pulse per measure.